1. Can hair loss be treated with other drugs while using Nourifo? Nourifo uses a medical soft laser light to stimulate shrunken hair follicles to regrow. It’s a pure medical and safe treatment which doesn’t have any side effects nor conflict with other treatments. Therefore, combined treatment with other medicines during the use of Nourifo is practical. Usually, there are two kinds of drugs that can be used, including minoxidil (external use)and finasteride (taken orally/suitable for male ). You can stop using it at the doctor’s suggestion if they have obvious side effects. We suggest using external drugs or a spray nutrient solution half an hour after using iHelmet, because the scalp retains some heat after the light treatment. At this time, the follicles are opened and it is beneficial for absorbing drugs. 2. Should it be used after washing hair? You just need to keep the hair clean and the scalp dry. 3. What is the best time to use iHelmet? There is no limit, the effect is the same. But it can improve the quality of sleep when using it before going to bed. 4. How long does it take for the whole treatment cycle? The treatment cycle on average is 1) decrease hair oil in a month, 2) stop hair loss and nourish hair in 2-3 months, 3) grow new hair in 3-6months. It gets the best effect after regular use for 1 to 1.5 years. After that, keep using it twice a week. 5. Why after using it for a long time do I feel no changes? It takes a long time to stop hair loss and grow new hair. You should be patient because hair follicles need 3-4 months at least to change from telogen to anagen. 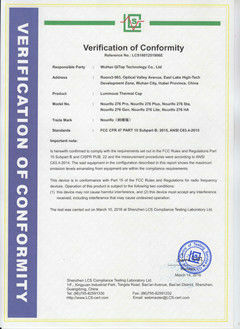 Adhere to normal use which will get the best effect in one year to one and a half year. 3-7 days for samples; 5-25 days for batch goods. 1. What is the customized treatment plan? There is a 276pcs high density laser in our helmet, which is divided into seven areas, every area can adjust the light intensity separately. Therefore it can customize personalized lighting solutions for each user, increase illumination in the hair loss area, and reduce the illumination in areas with no hair loss. It greatly improves the effect of the illumination and provides accurate treatment. 2. How do I observe my customized treatment plan? When you select your hair loss type, the laser light illumination scheme will change. 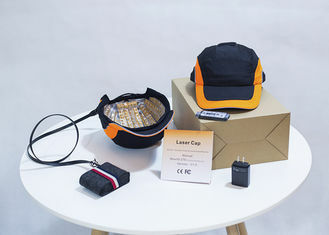 If you choose a different mode, you see can the way the laser’s lighting is changed through the external translucent Nourifo cover, the lighting interface will show the hair loss grade’s mark (with Latin alphabet showing), representing this kind of hair loss type’s lighting scheme. 3. What is the warranty policy? 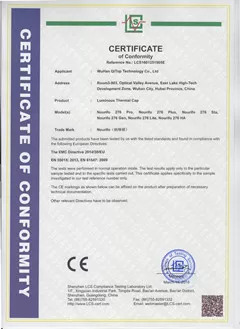 Nourifo provides three years of free warranty against quality defects not introduced by misuse of the product. If there is no improvement in hair loss after using the product regularly for six months, a full refund will be offered.